Dark deep purple color. Aromas of tobacco, dried concord grape, ash, and moist bay leaf with a satiny, tangy, dryish medium body and a sleek, brisk diced apple and pickled strawberry finish with soft tannins and a suggestion of oak flavor. An inky purple wine with an easy drinking style. 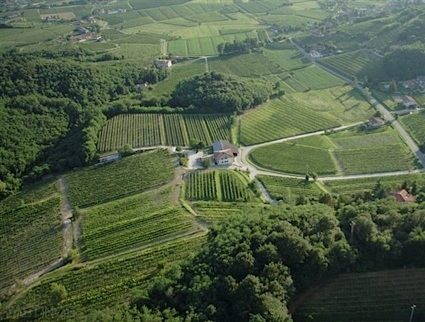 Bottom Line: An inky purple wine with an easy drinking style. 87 • Black Willow Winery 2014 Chardonnay, New York State 12% (USA) $14.95. 87 • Black Willow Winery Trilogy White, New York State 12% (USA) $16.95. 85 • Black Willow Winery Bare Cat Blush, New York State 11% (USA) $10.95. 88 • Black Willow Winery "Classic Diamond", Diamond, New York State 11% (USA) $12.95. 88 • Black Willow Winery 2004 Flight 6-1-37, California 18% (USA) $24.95. 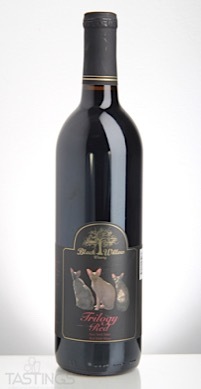 86 • Black Willow Winery NV DePeche Meow, New York State 11% (USA) $12.95. 90 • Black Willow Winery NV "Trilogy" Red, New York State 12% (USA) $14.95. 85 • Black Willow Winery NV "Trilogy" White, New York State 12% (USA) $16.95. 85 • Black Willow Winery NV "Classic Diamond", New York State 11% (USA) $12.95. 83 • Black Willow Winery NV Chardonnay, New York State 12% (USA) $14.95. 87 • Black Willow Winery NV Trilogy White Blend, New York State 12% (USA) $16.95. 85 • Black Willow Winery NV Classic Diamond, New York State 11% (USA) $12.95. 92 • Black Willow Winery Odin’s Nectar 12% (USA) $17.95. 87 • Black Willow Winery Freyja’s Passion 12% (USA) $18.95. 88 • Black Willow Winery Valkyrie’s Lure 12% (USA) $18.95. 86 • Black Willow Winery NV Bare Cat Blush, Niagara Country 11% (USA) $10.95. 85 • Black Willow Winery NV Black Widow Berry, New York State 11% (USA) $11.95. 84 • Black Willow Winery NV Classic Diamond, New York State 11% (USA) $12.95. 85 • Black Willow Winery NV Classic Diamond, New York State 11% (USA) $.00. 82 • Black Willow Winery NV Chardonnay, New York State 12% (USA) $14.95. 86 • Black Willow Winery 2015 Classic Diamond White Dessert Wine, New York State 11% (USA) $12.95. 81 • Black Willow Winery NV Chardonnay, New York State 12% (USA) $14.95. 91 • Black Willow Winery 2016 Trilogy Red Blend, New York State 12% (USA) $16.95. 89 • Black Willow Winery NV Trilogy White Reserve, New York State 12% (USA) $16.95. 86 • Black Willow Winery NV Trilogy Red, New York State 12% (USA) $16.95. 85 • Black Willow Winery NV Off-Dry Bare Cat Blush, Niagara County 11% (USA) $10.95. 80 • Black Willow Winery NV Chardonnay, New York State 12% (USA) $14.95. 86 • Black Willow Winery 2016 Semi-Dry, Riesling, New York State 12% (USA) $15.95. 86 • Black Willow Winery 2016 Classic White Blend, Diamond, New York State 12% (USA) $12.95. 90 • Black Willow Winery 2017 Trilogy White Reserve, New York State 12% (USA) $16.95. 86 • Black Willow Winery Odin’s Nectar 12% (USA) $18.95. 85 • Black Willow Winery Valkyrie’s Lure 12% (USA) $18.95. 84 • Black Willow Winery Freyja’s Passion 12% (USA) $18.95. Black Willow Winery NV Trilogy Red, New York State rating was calculated by tastings.com to be 86 points out of 100 on 2/14/2018. Please note that MSRP may have changed since the date of our review.